Join Chef Glenys Morgan as she showcases successful techniques with different pieces, namely skillets and Dutch ovens. Braise, sear,roast, bake; oven-to-table, sauces with flavour, superb crusty breads, giant Yorkshire puddings. Whether your pan is brand new or in need of some TLC, Glenys will teach you about seasoning and perhaps refurbishing your old family heirlooms. She will tell you everything you need to know,and surely throw in some laughs along the way. Chile Con Queso- cast iron holds a gentle heat as well as a high sear- so fondue it! Served with tortilla chips. Seared Thai Flank Steak- the sear is the flavour. Herbal Salad with Lime Dressing . Again done in minutes. ProvenÃ§al Braised Lamb Shanks- build a flavour base, then a gentle braise to tenderize. 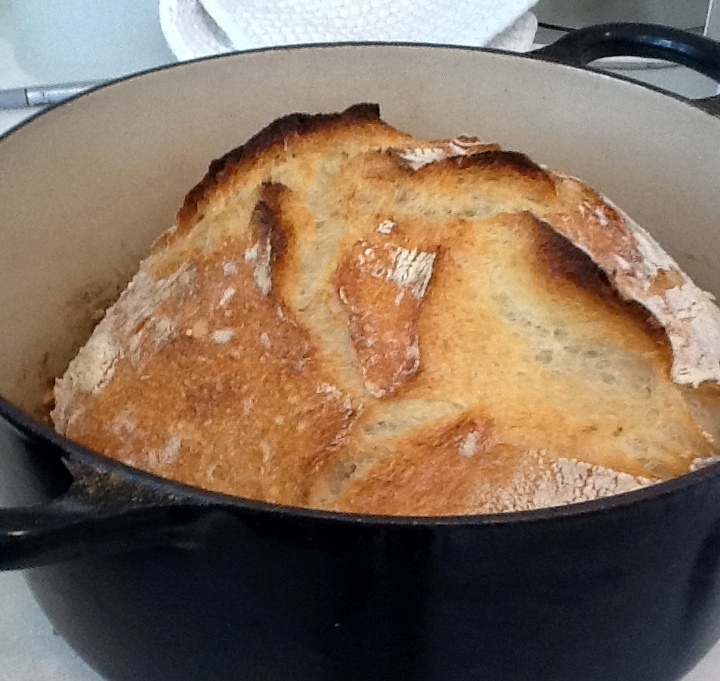 Sourdough “Boule”- an oven in the oven, creating an extraordinary crust. Dutch Baby- the art of popovers and Yorkshires- we’ll do it with lemon and apples for dessert.